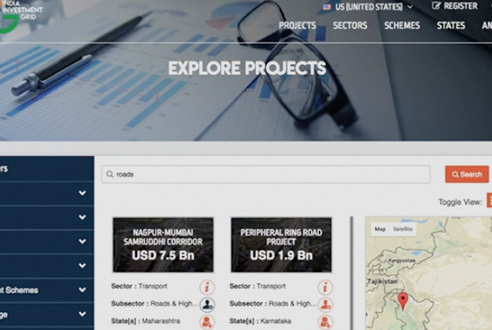 Click here to explore investible projects across various sectors, states & Govt. schemes. India has emerged as the world's leading investment destination. The India Investment Grid (IIG) showcases a plethora of investment opportunities across India on a single interactive platform. An initiative to enhance the ease of doing business in India, IIG connects potential investors to projects and promoters.